A Kingston police cruiser is seen in this undated file photo. KINGSTON, Ont. 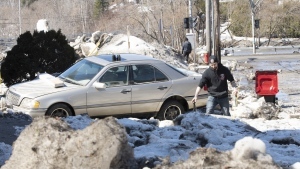 -- A 46-year-old man is facing charges after allegedly attacking a child in a road rage incident in eastern Ontario. Police say the accused was the passenger in a car that had been driving through a Kingston, Ont., parking lot at high speed. They say a near collision resulted in him "flipping off" another driver, who then honked his horn. Investigators allege that after the driver who honked parked his vehicle, the accused approached and yelled racial remarks and threatened he could have him killed. When the driver's 13-year-old son told the accused not to speak to his father like that, police say the accused allegedly grabbed the boy by the throat. Police say the father began yelling and punching at the accused in an attempt to get him to let go of his son, which attracted passersby who intervened and broke up the altercation. 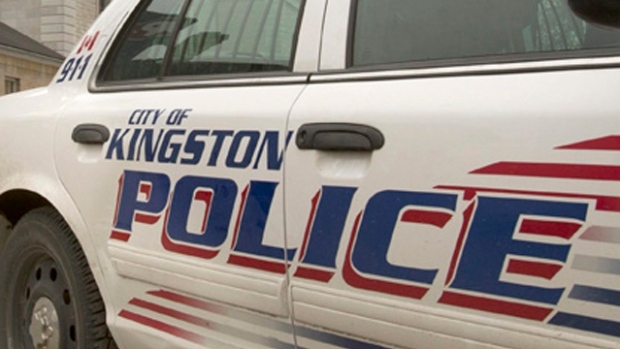 They say a Kingston man was arrested at his home and charged with assault and uttering threats arising from the Saturday morning incident. Bullet holes found after road rage incident in Pickering, Ont.